NELSON STORY bought a thousand head of Texas cattle with money he had acquired from mining gold in Montana. With a crew of tough, young men, Nelson managed to make the most famous and longest cattle drive in history. From Texas to Montana, through thousands of miles of plains and mountains, murderous Jayhawkers, rampaging Indians and defying the orders of the Commanding Officer at Fort Phil Kearny, Nelson arrived at what has become known as Story Ranch since 1866. Nelson went on to become a very successful businessman in flour mills, banks and numerous other enterprises, even a steamboat. 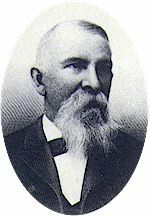 THOMAS BYRON STORY, Nelson’s son, continued this entrepreneurial spirit, operating many Montana businesses, chief of which was running one of the state’s largest band of sheep from Story Ranch. Along with other Montana mover and shakers, T.B. started the Bozeman Rodeo and Roundup in 1919. MALCOLM STORY took over in 1932. Seeing the possibility of synthetic fibers on the future of wool, Malcolm changed Story Ranch back to a cattle operation. Besides which, he was one of the West’s best cowboys, a marksman shot and a darn good roper, so a cattle ranch was a great fit. PETE STORY, Malcolm’s son, continued the cattle operation. While still a young man, Pete was elected to the Montana State Senate and served for 20 years. Pete would remind people that ever since his great-grandfather Nelson Story helped hang the outlaw George Ives, the Story family has been in civic affairs. MIKE STORY, Pete’s son, operated the ranch from an early age while his father was in politics. A cowboy like his Grandfather Malcolm and a throwback to the original Nelson Story, Mike has owned and operated Story Ranch and Cattle Company for over 20 years giving his clients wonderful hunts and adventures.